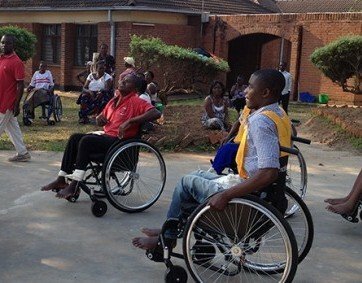 The Federation of Disability Organisations in Malawi (Fedoma) has asked people in the country to make sure the buildings that are being built by government and private organisations are disability friendly. People living with disabilities keep having troubles. Fedoma Project Officer, Ulaya Banda, said it is worrisome that despite the awareness by the organisation and other non-government on the matter, there is high increase of infrastructures that are not disability friendly. According to Banda, most of the public buildings such as classrooms and churches have no wheelchair ramps which people with disability can use. He added that most of the contractors do do not consult relevant authorities when building the infrastructures. Fedoma is a non-governmental organisations which promotes the rights of people with disability. The organisation, with the support of Department for International Development (DFID) has started building infrastructures which will be easily accessed by people with disability. Even the dwelling houses being built by individuals should comply to this.